Guwahatians will soon get domestic gas pipeline services. The Petroleum and Natural Gas Regulatory Board of India (PNGRB) during a programme at Guwahati on Thursday announced to introduce domestic gas pipeline services in four new zones of the Northeast. 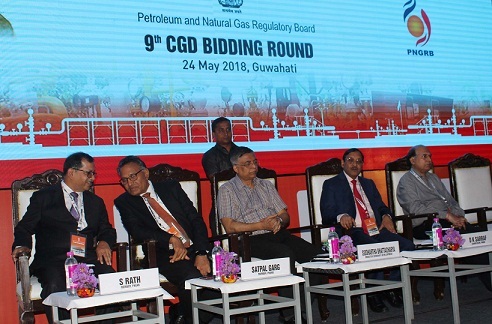 The announcement came during the 6th road show programme for 9th City Gas Distribution (CGD) Bidding Round was organised by the PNGRB at Guwahati. The four zones categorised by the board for the domestic gas pipeline services are – Kamrup (Metro) and Kamrup (Rural) districts, Barak Valley (Cachar, Karimganj and Hailakandi district), South Tripura and Gomti district in Tripura. The Barauni-Guwahati pipeline which is an extension of the Central government’s Urja Ganga Pipeline Project will connect Northeast region to other states of the country. PNGRB chairperson Dinesh K Sarraf said that the project would cover 24 per cent of the geographical area and 29 per cent of the total population of the country. In his address, the chairperson highlighted the need to work together and leverage the opportunities available in the CGD business, thereby enabling the central government to achieve its target to connect one crore households to PNG by 2020. S Rath further said the board has been striving to bring the whole Northeast region of the country under the project’s pipeline network. Assam Education and Guwahati Development Minister Siddhartha Bhattacharya was also present in the programme. It may be mentioned that people of Tinsukia, Dibrugarh, Charaideo, Sivsagar, Jorhat and Golaghat district have already been receiving Assam Gas Company Ltd’s domestic gas pipeline services.